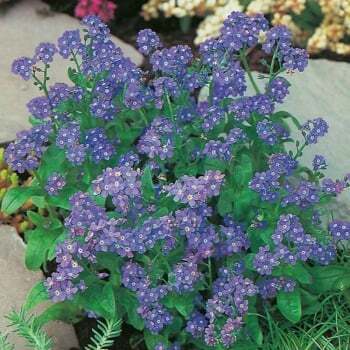 These Mr. Fothergill's forget me not indigo seeds from Ruddick Garden Gifts are an easy to grow hardy biennial. These flowers produce a mass of indigo flowers in late spring and are ideal for beds and borders looking especially good with spring bulbs. These forget me not seeds will grow to 12" in height and you get an average of 300 seeds per pack.